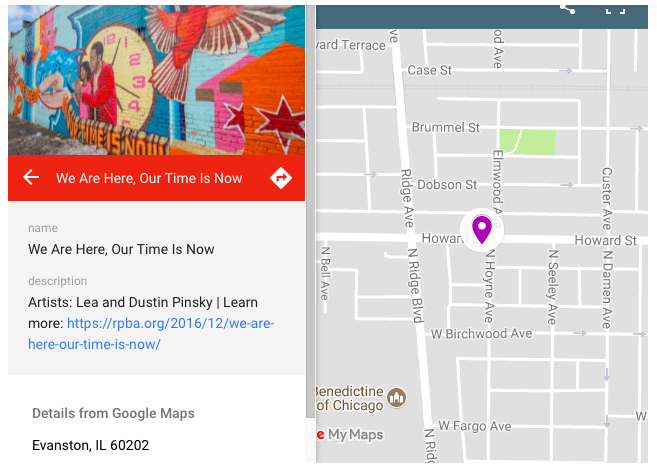 Designed to complement the City of Chicago Year of Public Art, the Rogers Park Business Alliance has crafted a digital map that shows the location of various public art pieces around the community. All told, there are 73 pieces to check out and their interactive map provides information about each artist, the work, and its exact location. 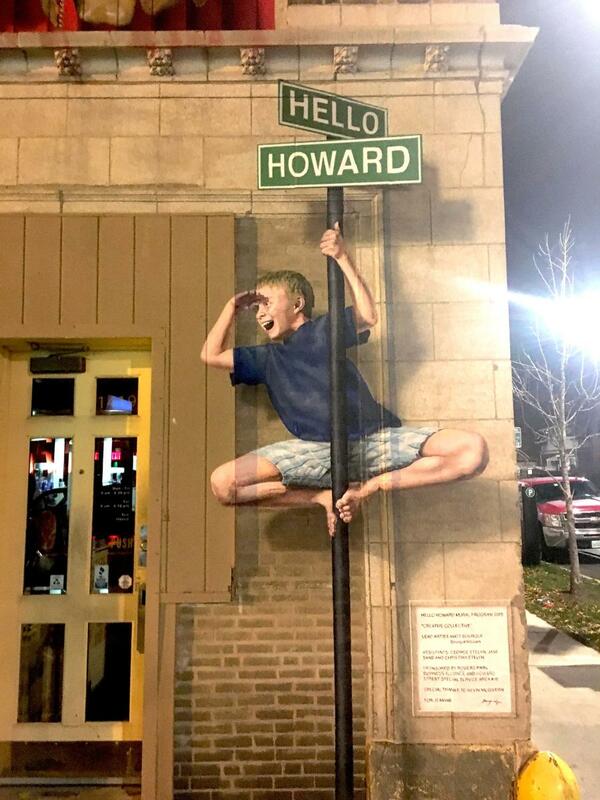 Some of the projects included in this collection include the Mile of Murals Project and the wonderful and whimsical pieces included along the Howard Street area. 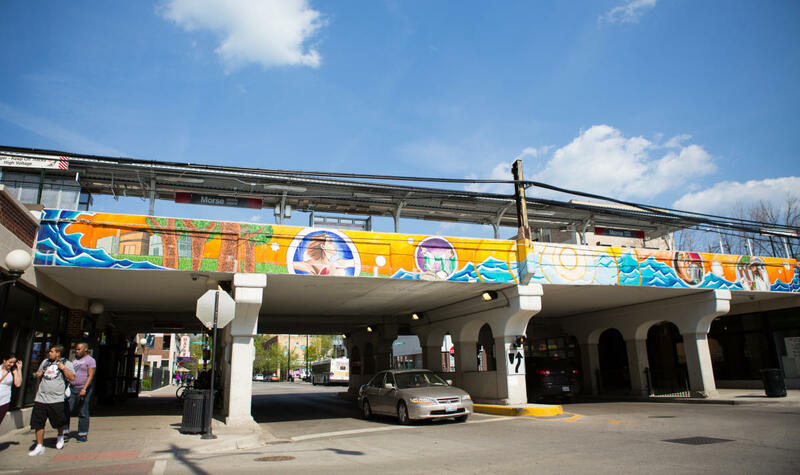 I’d suggest that visitors make a beeline for Jeff Zimmerman’s wonderful “Chicago: Wind, Sun, and Shine” mural, which graces the underpass at Lunt Avenue at Glenwood. This piece is part of the Mile of Murals Project and you’d do well to check out the healthful and diverse food offerings at the Heartland Cafe (now closed), which is right across the street from these gorgeous pieces. 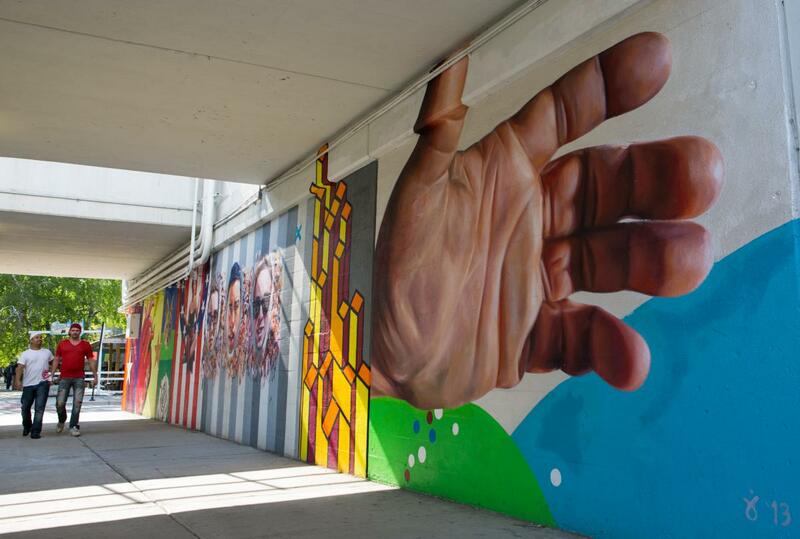 Taking a family or friends around even a handful of these amazing artworks will enhance their understanding of Chicago and also give them an opportunity to see a neighborhood that many visitors might not normally visit. After one visit, you may be coming back for more! Photos below include "Artistic Movement" and "The Heart of Rogers Park". 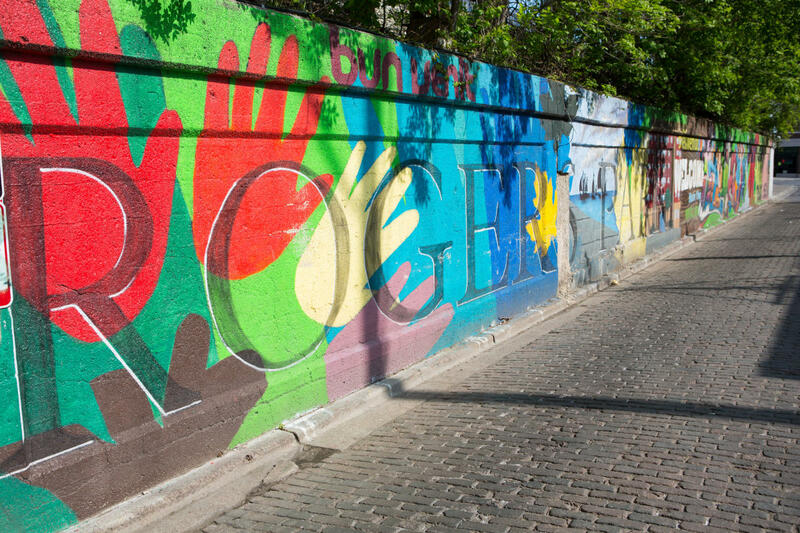 View the Rogers Park public art map brochure, which includes two neighborhood art walk options, and get artist/address details at https://rpba.org/public-art/. Now that you know 2017 is the Year of Public Art in Chicago, add these upcoming events to your calendar: Celebrate Cloud Gate October 17, Wabash Arts Corridor Crawl October 20 and a Public Art Symposium October 26-27. Search out more public art picks and tag your photos #2017isYOPA as you go along.